His current research activity is focused on perceptually based rendering and lighting, mixed reality rendering, realistic human body modeling and animation, soft-tissue deformation, surface/volume reconstruction from scans, and human digital content interaction. Taehyun Rhee is an Associate Professor of Faculty of Engineering and Computer Science, Deputy Director of Computational Media Innovation Centre (CMIC), and a founder of Mixed Reality startup dreamflux. He is a founder and director of the Victoria Computer Graphics (VCG) Lab and the founding member of Victoria Computer Graphics Programme established in collaboration with Weta Digital. Before joining Victoria, he was a principal researcher and leader of Computer Graphics and Medical Physics research teams at Future IT Centere of Samsung Research (SAIT: Samsung Advanced Institute of Technology) in Korea from 2008 to 2012. Also, he was a senior researcher of Research Innovation Center at Samsung Electronics from 1996 to 2003. 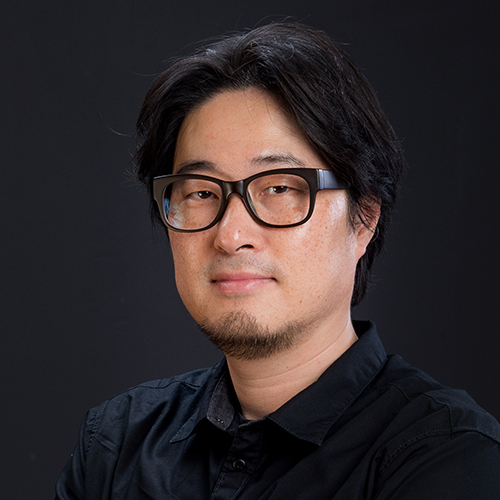 Taehyun Rhee is one of the founders of Computer Graphics Programme which was developed in close collaboration with Wellington's internationally recognised entertainment and digital technology sectors. This relationship with industry leaders such as Weta Digital (Lord of the Rings, Avatar) is continued in the programme through consultations, guest lectures, internship opportunities, and scholarship (e.g. Weta Digital PhD Scholarship in Computer Graphics). T. Rhee, A. Chalmers, I. Loh, K. Kumagai, L. Petikam, B. Allen, K. Anjyo, "MR360 interactive: playing with digital creatures in 360° videos", ACM SIGGRAPH Asia 2018 Virtual and Augmented Reality (the 2nd place winner of the best VRAR tech award), Article No. 11, Tokyo, Japan, Dec 2018. T. Rhee, I. Loh, B. Allen, L. Petikam, "MR360 live: immersive mixed reality with live 360° video", ACM SIGGRAPH Asia 2018 Real-Time Live, Article No. 4, Tokyo, Japan, Dec 2018. T. Rhee, A. Chalmers, I. Loh, B. Allen, L. Petikam, S. Thompson, T. Revill, "Mixed reality 360 live: live blending of virtual objects into 360° streamed video", ACM SIGGRAPH 2018 Real-Time Live, Article No. 5, Vancouver, Cananda, Aug 2018. L. Petikam, A. Chalmers, T. Rhee, "Visual Perception of Real World Depth Map Resolution for Mixed Reality", proc. of IEEE Virtual Reality 2018, March 2018. P. Liu, J. P. Lewis, T. Rhee, "Low-Rank Matrix Completion to Reconstruct Incomplete Rendering Images", IEEE Transactions on Visualization and Computer Graphics, 14 pages. doi: 10.1109/TVCG.2017.2722414. T. Rhee, L. Petikam, B. Allen, A. Chalmers, "MR360: Mixed Reality Rendering for 360-degree Panoramic Videos", in IEEE Transactions on Visualization and Computer Graphics, vol. 23, no. 4, pp. 1379-1388, April 2017, presented at IEEE Virtual Reality 2017, and presented at SIGGRAPH 2017. S. Yoon, J. Lewis, T. Rhee, "Blending Face Details: Synthesizing a Face using Multi-Scale Face Models", IEEE Computer Graphics and Applications, Vol. 37, No. 6, pp. 65-75, 2017. T. Iorns, T. Rhee, "Real-Time Image Based Lighting for 360-degree Panoramic Video", Lecture Note in Computer Science, Springer, Presented in PSIVT workshop, Vision Meets Graphics 2015, Auckland, NZ, Nov, 2015. W. Ma, T. Iorns, A. Chalmers, and T. Rhee, “Synthesizing Radiance Maps from Legacy Outdoor Photographs for Real-time IBL on HMDs”, Proc. of 30th International Conference on Image and Vision Computing New Zealand (IVCNZ 2015), Auckland, NZ, Nov, 2015. K. Carnegie, T. Rhee, "Reducing Visual Discomfort with HMDs Using Dynamic Depth of Field", IEEE Computer Graphics and Applications, Vol. 35, Issue 5, 2015. T. Rhee, P. Lui, J.P. Lewis, “Deformable Human Body Modeling from 3D Medical Image Scans”, Proc. of Forum Math for Industry (FMI 2015), Fukuoka, Japan, Oct, 2015. A. Chalmers, J. Choi, T. Rhee, "Perceptually Optimised Illumination for Seamless Composites", Proc. of Pacific Graphics 2014, Seoul Korea, Oct, 2014. A. Chalmers, J.P. Lewis, P. Hillman, C. Tait, T. Rhee, "Sky Browser: Search for HDR Sky Maps", Proc. of Pacific Graphics 2014, Seoul Korea, Oct, 2014. J.P. Lewis, K. Anjyo, T. Rhee, F. Pighin, Z. Deng, "Practice and Theory of Blendshape Facial Models", Eurographics STAR 2014. A. Chalmers, J. Choi and T. Rhee, “Perceptually Based Radiance Map for Realistic Composition”, Proc. of 28th International Conference on Image and Vision Computing New Zealand (IVCNZ 2013), Wellington, NZ, Nov, 2013. C. Pawaskar, W. Ma, K. Carnegie, J.P. Lewis, and T. Rhee, “Expression Transfer: a System to build 3D Blend Shapes for Facial Animation”, Proc. of 28th International Conference on Image and Vision Computing New Zealand (IVCNZ 2013), Wellington, NZ, Nov, 2013. J.P. Lewis, and T. Rhee, “Principal Component Analysis and Laplacian Splines: steps toward a unified model”, Proc. of Forum Math for Industry (FMI 2013), Fukuoka, Japan, Oct, 2013. J.P. Lewis, K. Anjyo, Z. Mo, and T. Rhee, “Probable and improbable faces”, Proc. of Mathematical Progress in Expressive Image Synthesis (MEIS2013), Fukuoka, Japan, Oct, 2013. S. Rhee, Y. Lee, J. Kim, T. Rhee, "Pose estimation of a depth camera using plane features", IEEE Transactions on Consumer Electronics, pp 133-134, 2013. N. Kang, M.W. Lee, T. Rhee, "Liver Deformation during Respiration using Sparse Local Features", IEEE Computer Graphics and Applications, Vol. 32, No.5, 2012. H. Shim, R. Adelsberger, J.D. Kim, S. Rhee, T. Rhee, J. Sim, M. Gross, C. Kim, "Time-of-flight sensor and color camera calibration for multi-view acquisition," The Visual Computer, Vol. 28, Issue 12, 2012. I. Ha, T. Rhee, J. Kim, “Smooth mesh generation from noisy depth image”, Proc. of The 1st IEEE Global Conference on Consumer Electronics (ICCE2012), Tokyo, Japan, Oct. 2012. S. Rhee, Y. Lee, J.D. Kim, T. Rhee, "Split and Merge Approach for Detecting Multiple Planes in a Depth Image", Proc. of the International Conference on Image Processing (ICIP 2012), Orlando, U.S.A., September, 2012. I. Ha, T. Rhee, "Composition of Synthetic Objects with Color‐Depth Video", Proc. of Computer Graphics International (CGI 2012, short), U.K., Jun. 2012. N. Kang, K. Kim, S. Kim, T. Rhee, "Robust Organ Deformation Driven by Sparse Local Features", IEEE International Symposium on Biomedical Imaging (ISBI 2012, poster), Barcelona, Spain, May., 2012. K. Kim, N. Kang, T. Rhee, J. Kim, "Analysis of Liver Deformation on Breathing", IEEE International Symposium on Biomedical Imaging (ISBI 2012, poster), Barcelona, Spain, May. 2012. S. Kim, N. Kang, K. Kim, T. Rhee, J. Kim, "Panoramic Elasticity Modeling", IEEE International Symposium on Biomedical Imaging (ISBI 2012, poster), Barcelona, Spain, May. 2012. T. Rhee, Y. Hwang, J.D. Kim, C. Kim, "Real-time Facial Animation from Live Video Tracking", Proc. Of Eurographics/ACM SIGGRAPH Symposium on Computer Animation, Vancouver, Canada, Aug. 2011. H. Liu, X. Wei, J. Chai, I. Ha, T. Rhee, "Realtime Human Motion Control with A Small Number of Inertial Sensors", Proc. of ACM SIGGRAPH Symposium on Interactive 3D Graphics and Games 2011 (I3D), San Francisco, U.S.A., Feb. 2011. T. Rhee, J.P. Lewis, U. Neumann, K. Nayak, "Scan-Based Volume Animation Driven by Locally Adaptive Articulated Registrations", IEEE Transactions on Visualization and Computer Graphics, Vol.17, No.3, 2011. H. Shim, I. Ha, T. Rhee, J. Kim, C. Kim, "Probabilistic Approach to Realistic Face Synthesis", Proc. of the International Conference on Image Processing (ICIP 2010), Hong Kong, Sep. 2010. S. Lee, K. Lee, T. Rhee, U. Neumann, "Reservoir Model Information System: REMIS", Proc. SPIE 7243, Visualizaion and Data Analysis 2009. T.Rhee, J.P. Lewis, Krishna Nayak, U. Neumann, "AdaptiveNon-rigid Registration of 3D Knee MRI in Different Pose Spaces", Proc. of IEEE International Symposium on Biomedical Imaging (ISBI '08), presented at Paris, France, May 2008.
at Long Beach, CA, Jan 2008. T. Rhee, J.P. Lewis, U. Neumann, K. Nayak, "Soft-tissue Deformation for In-Vivo Volume Animaton", Proc. of Pacific Graphics 2007, pp 435-438, presented at Maui, Hawaii, October 2007. T. Rhee, J.P. Lewis, U. Neumann, "Real-Time Weighted Pose-Space Deformation on the GPU", Computer Graphics Forum, Vol 25, No 3, pp439-448, Proc. of Eurographics 2006, presented at Vienna, Austria, September 2006. T. Rhee, U. Neumann, J.P. Lewis, "Human Hand Modeling from Surface Anatomy", Proc. of ACM SIGGRAPH Symposium on Interactive 3D Graphics and Games 2006 (I3D), pp27-34, presented at Redwood City, CA, March 2006.